Punakha Dzong in western Bhutan it’s often considered the most beautiful Dzong in the country, it is also the most important Dzong in Bhutanese history. 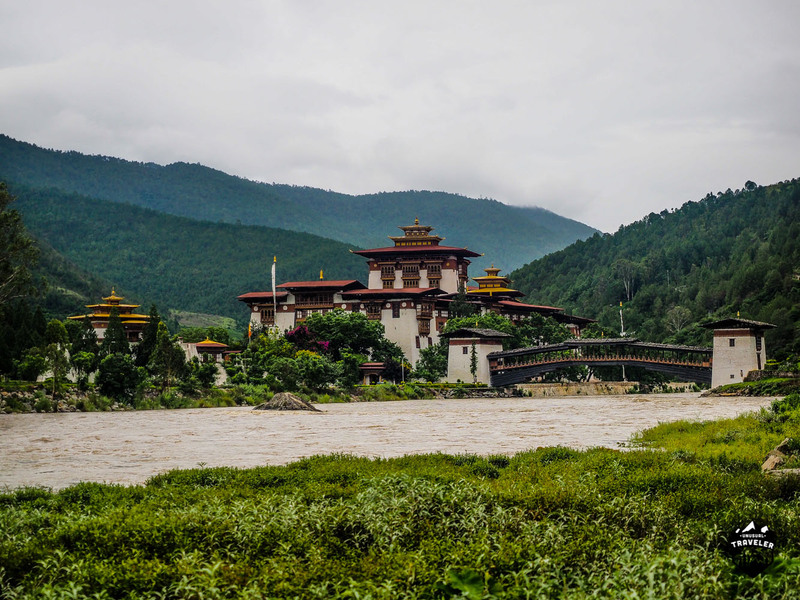 Punakha was the capital of Bhutan from 1637 to 1907, and the first national assembly was hosted here in 1953. 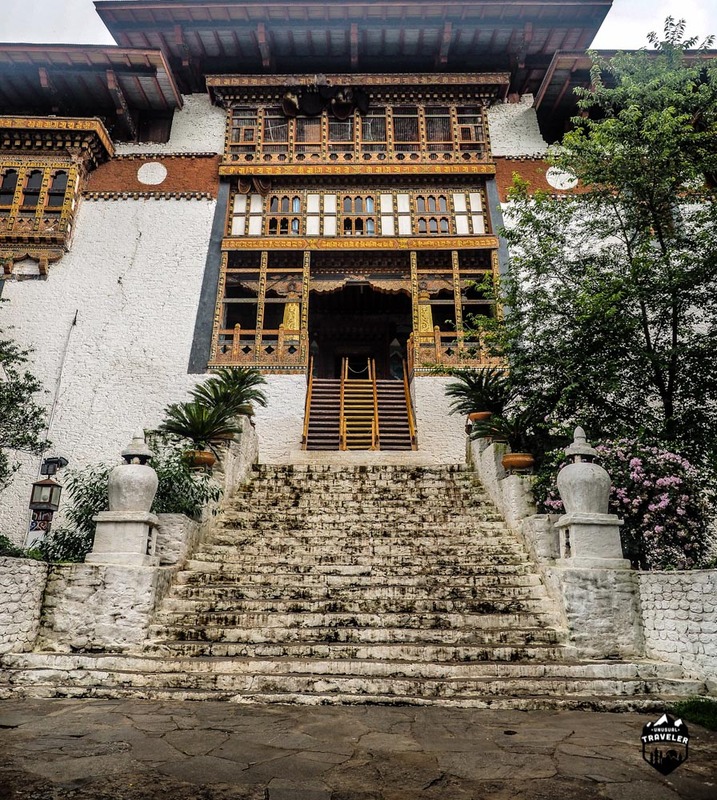 It is the second oldest and second largest dzong in all of Bhutan and one of the most majestic and famous structures in the country. It took only about a year to finish the building of this Dzong, but by far the most impressive thing about this Dzong is that it was built without the use of nails, not even one. The Typical Tourist photo of Punakha Dzong. 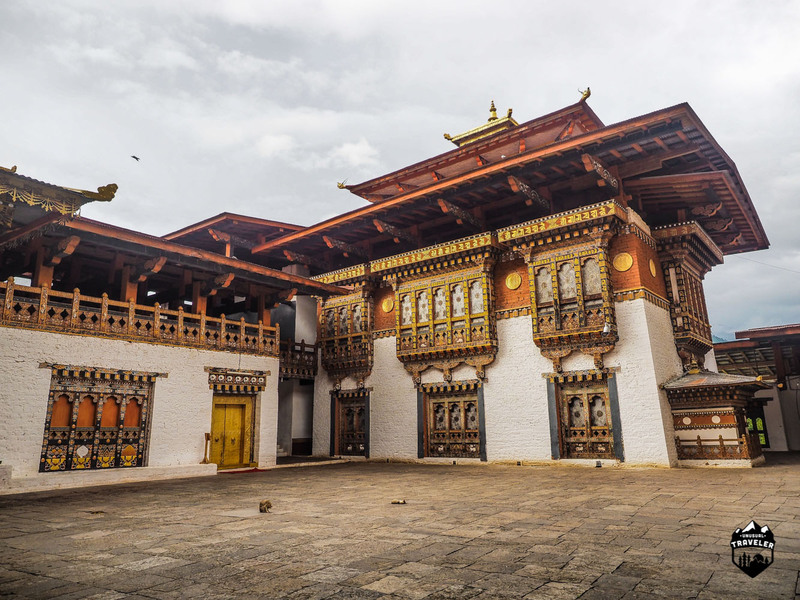 Most of Bhutan’s national treasures are kept inside this Dzong, and it was here that the King of Bhutan His Majesty King Jigme Khesar Namgyel Wangchuck and his beautiful wife, the Queen of Bhutan Jetsun Pema got married in October 2011. 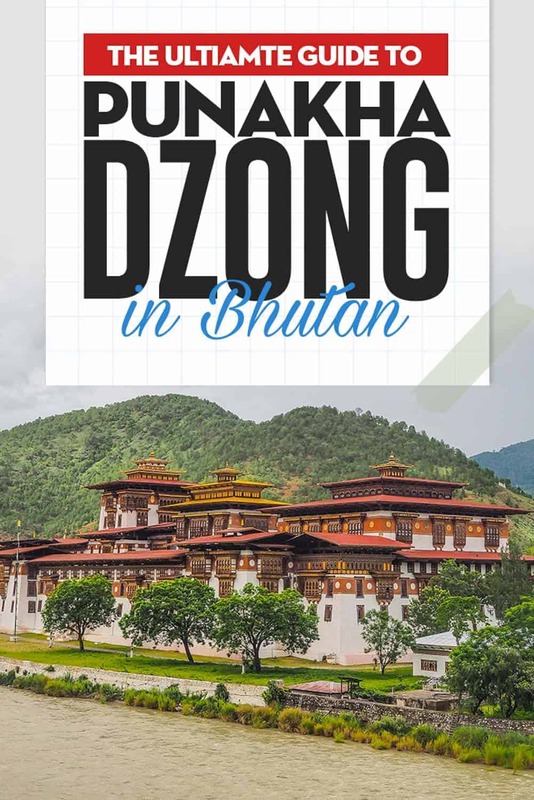 The Punakha Dzong is by far the most famous sight in Bhutan, at par with The Tiger’s Nest in Paro, so it´s easy to understand why the Punakha Dzong it´s one of the top three sights in Bhutan, the two others being the Tiger Nest Monastery and Dochula Pass. The Northern guard tower just outside the Dzong. 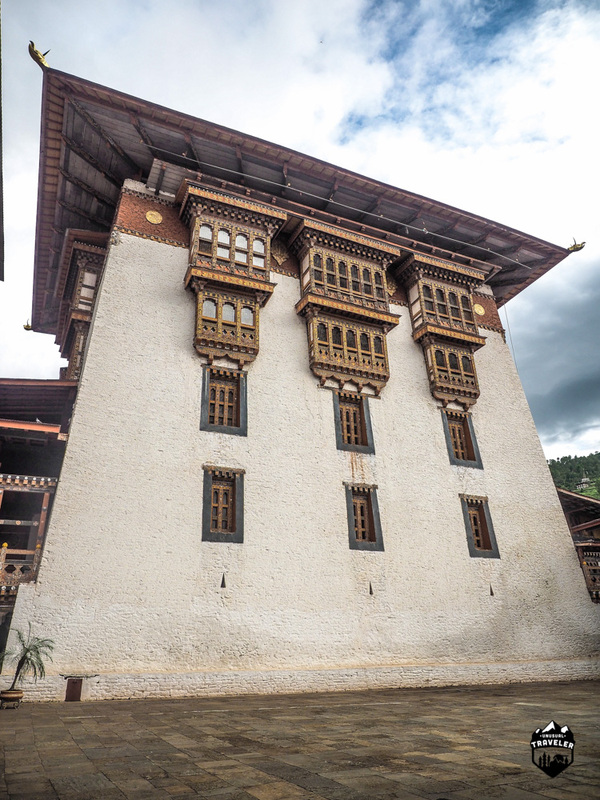 Punakha Dzong is 180m long and 72m wide, and the Utse (central tower) is six stories high. The Dzong is located between the two major rivers in Bhutan, the Pho Chhu (pho means male) and Mo Chhu (mo means female). Therefore the only way to access the Dzong is to cross the Bazam (bridge) which was rebuilt in 2008 after the original 17th-century bridge was washed away during a flood in 1958. The Bazam bridge you have to cross to enter the Dzong. 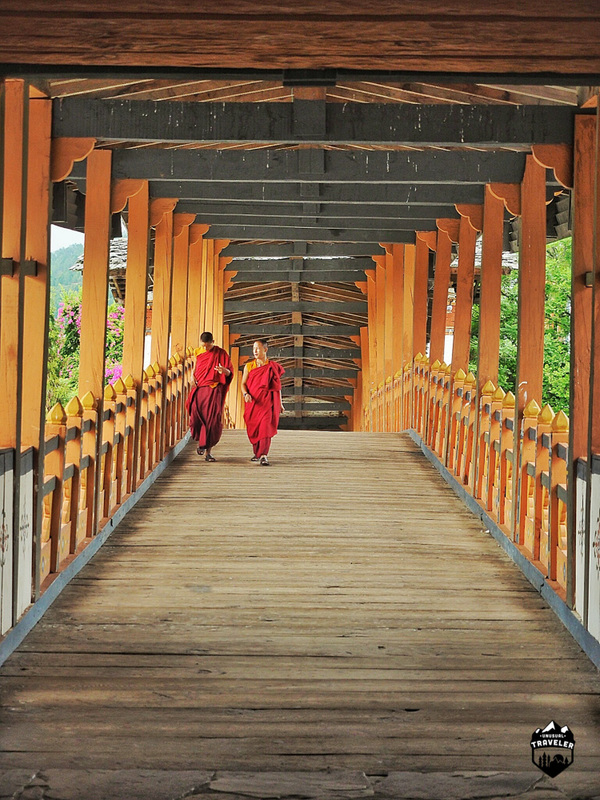 Two monks walk across the bridge that leads to the Dzong. Punakha Dzong as seen from the North. In addition to its strategic position surrounded by the two rivers, So do the this Dzong has several other features to protect it against invasion. 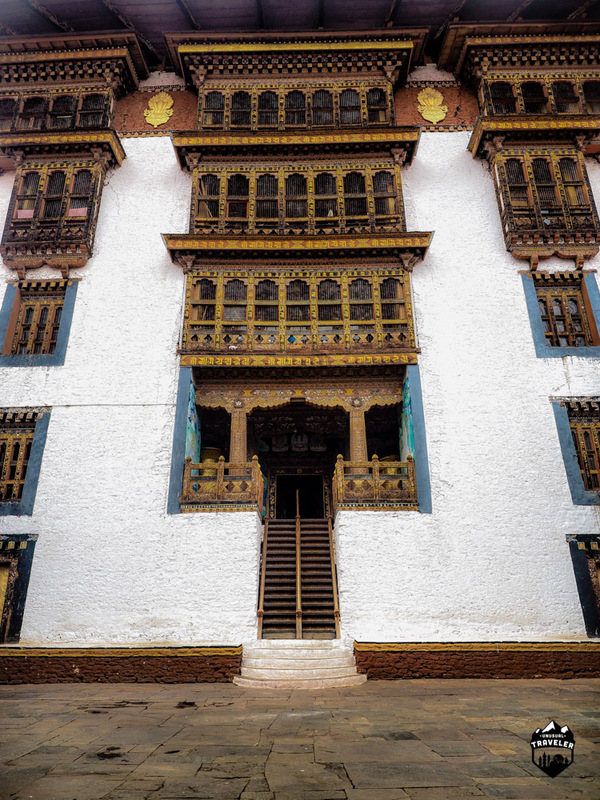 There´s only one entrance to the Dzong with extremely steep wooden entry stairs, that´s designed to be pulled up, and there is a heavy wooden door that is still closed at night. 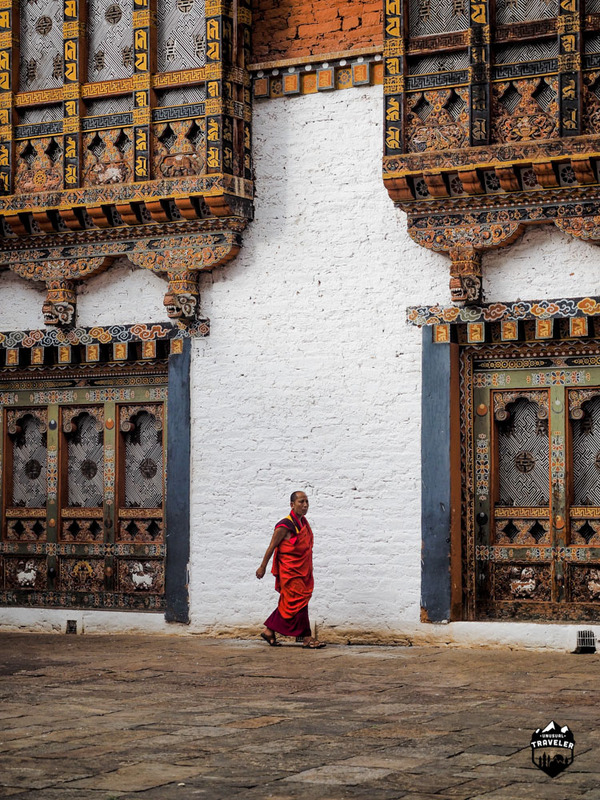 The main entrance to Punakha Dzong, it might not seem steep, but it is. NB, Notice the Bie hives underneath the roof. 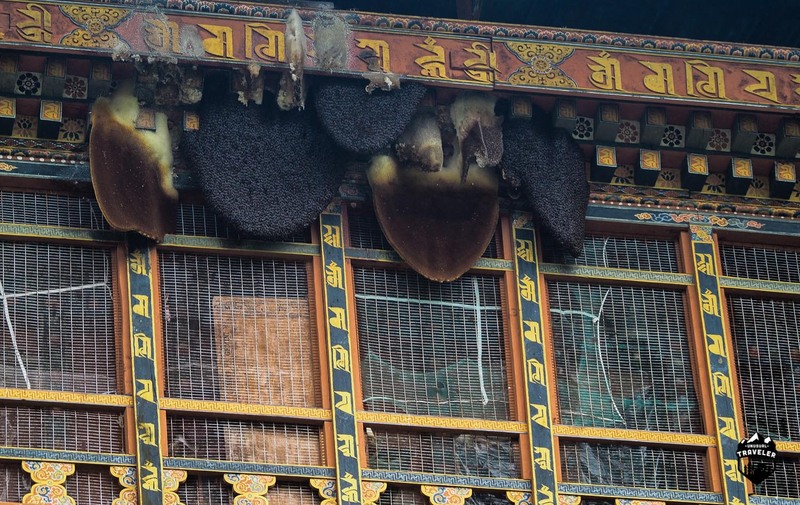 The massive Beehives underneath the roof. Biggest ones I ever seen. 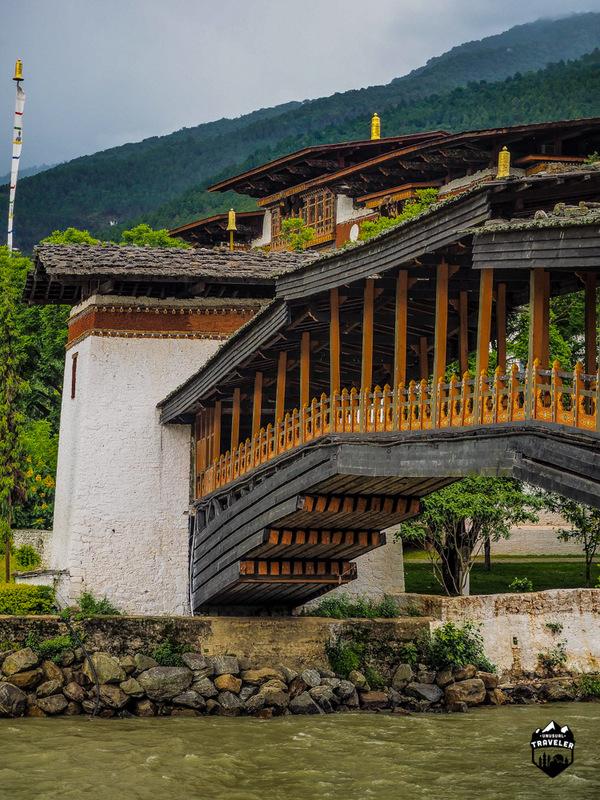 The Punakha Dzong is unusual; it has three Docheys (courtyard) instead of the two that´s normal in the other Dzongs around Bhutan. The first courtyard (northern) is for administrative functions and houses a big white Stumpa and a Bbodhi tree. The first Docheys (courtyard) that you will approach right after the main entrance, the big white Stumpa are located just behind the big Bbodhi tree. 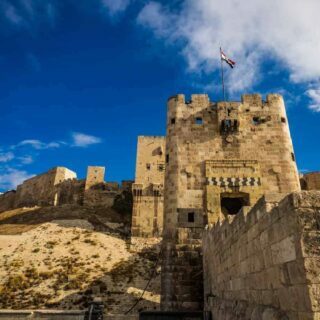 On the southern side, northern Dochey´s are the six stories high Utse (Central Tower) located, but you will enter from the second Dochey, the middle courtyard is also the smallest, and it´s nothing here except the entrance to the Utse. The entrance to the Utse is from the second courtyard. No photo´s allowed inside. The six stories tall Utse as seen from the first courtyard. The entrance to the third courtyard is through the small entrance between the two buildings. 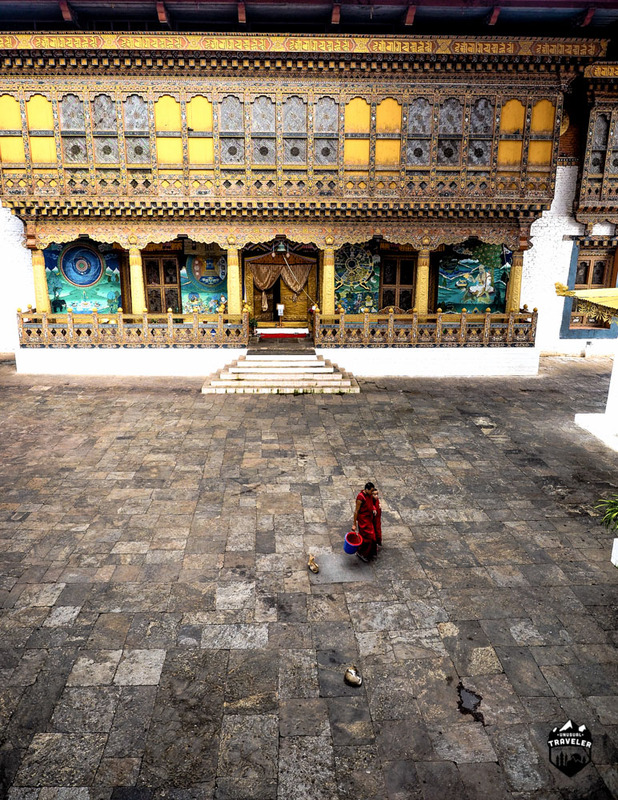 Two Monks walks across the third courtyard, the temple with the national treasures is located on the right side of the courtyard. 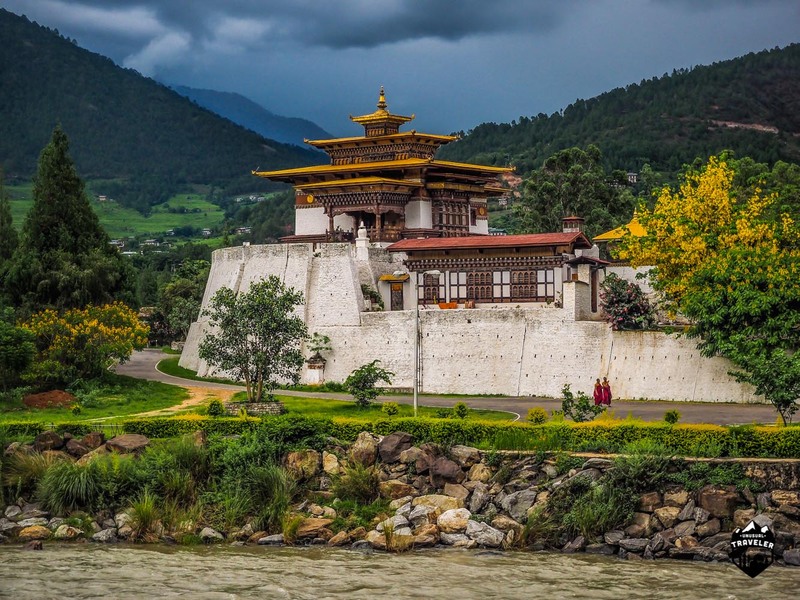 The Punakha Dzong is majestically standing on an island between the confluence of the Pho Chhu and Mo Chhu rivers, the city’s dzong is one of the most photogenic of all Bhutan’s ancient fortresses.